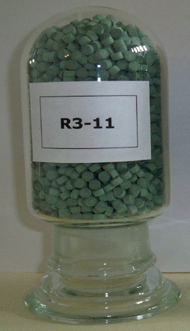 VOC, VOC Testing, VOC Abatement, Air pollution control, R3-11G, "BASF R3-11G", "O2 Removal", Oxygen Removal", Deoxo, "BASF Catalysts", Hydrodesulfurization, HDS, R3-11, "BASF R3-11", R3-12, "BASF R3-12", R3-15, BASF R3-15", R0-20, R0-20/47, "BASF R0-20", BASF R0-20/47", Engelhard, Q-5, "Engelhard Q-5", Cu-0226, VOC, "Catalytic Oxidation", "Catalytic Incineration", "CO2 Purification", "Deoxo Catalyst", "CATOX Catalyst", CATOX, "CATOX Reactor", VOC, "VOC Abatement", "VOC Catalyst", "VOC Abatement"
Please phone or email us, or fill out the form below so that we can contact you. Please fill out this form and click submit and we will contact you shortly. © 2019 Research Catalysts, Inc.